Cape Auto Repair is a full-service, independently-owned auto repair shop, centrally located in Orange County, that specializes in inspecting, maintaining, servicing, and repairing Porsches. Our technicians are factory trained and have nearly two decades of experience repairing all years and models of Porsches. We offer huge savings on our Porsche services when compared to dealer prices, and go out of way to personalize our service to the unique needs of each vehicle and client. Since 1979, we've repaired thousands of Porsches over the years and maintained an exceptional reputation for excellent workmanship, competitive prices, and superior customer service. For all of the above, we offer upfront, written estimates and always call ahead of time to get client approval on any additional work that is needed or recommended beyond the original estimate. Moreover, we do what we can to save our customers money, such as helping them prioritize or combine repairs so they can save on labor costs or prevent major damage in the long run. To learn more about our Orange County Porsche services, give us a call at (949) 582-3131. We are licensed, bonded, and insured and have earned thousands of loyal clients from every part of Orange County, including Laguna Niguel, Mission Viejo, Newport Beach, Aliso Viejo, Laguna Beach, San Juan Capistrano, Coto de Caza, Dana Point, San Clemente, Coto de Caza, Rancho Santa Margarita, Lake Forest, Laguna Hills, and Foothill Ranch. We also frequently work with local, out-of-state, and international clients who are looking to buy Porsches in California and need a trustworthy and reliable Porsche expert to look it over first. 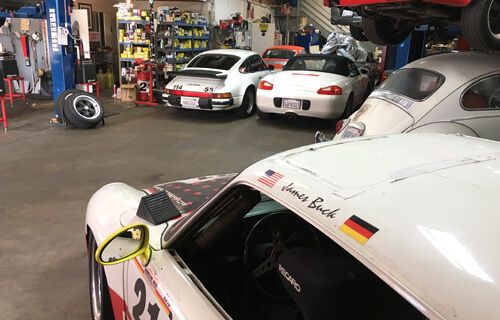 With factory-trained technicians and decades of experience, we are experts at providing scheduled maintenance for Porsches of all models and years. Our basic service is an oil change that we generally perform every 7,000-10,000 miles for optimal results. At every 20,000 miles, we provide "minor" service, which includes oil and filter changes. At every 40,000 miles, we recommend "major" service. Major scheduled maintenance service includes an oil change, engine filter change, cabin filter change, fuel filter change, spark plug replacement, and tune-up. At 60,000 miles, we typically change out belts and filters. No matter what type of service you need, we always perform a courtesy vehicle inspection that will help to reduce the chance of major future repairs. From maintaining classic 356s to present-day 991s, our scheduled maintenance services for Porsches in Orange County are affordably priced and completed in a timely manner. As a full service auto repair shop in Laguna Niguel, Cape Auto Repair offers convenient repair and service for Porsche owners throughout Orange County. We work on all models and years of Porsches, and our repair expertise includes brakes, struts, shocks, engines, exhaust systems, suspension systems, cooling systems, clutches, transmissions, electrical components, air conditioning systems, and convertible tops. With every repair and service, we provide a courtesy inspection to help our clients catch minor issues before they become major ones. Our factory-trained technicians work in an efficient manner and always look for ways to save our clients money. We perform bumper-to-bumper Porsche inspections at no cost with regularly scheduled maintenance service, oil changes, and repairs. This allows us to keep an eye on existing issues and to correct them before they become a safety hazard or major repair. Our factory-trained Porsche technicians will perform a complete scan of your vehicle; inspect its wheels, brakes, fluid levels, hoses, belts, and other components; and check for signs of leaks, deterioration, and other issues specific to the model and year of your Porsche. They will also run diagnostics if your vehicle's check engine light--or any other indicator light--is on. If you are looking to purchase a Porsche in California, we highly recommend investing in a pre-purchase inspections if you want to make sure you are getting a great value. While it is appealing to buy a used Porsche at a low price and then tackle the repairs later; more often than not, this tactic can cost you thousands or tens of thousands of dollars more in the long run. To avoid this, we recommend scheduling a pre-purchase Porsche inspection, which includes a general assessment of the car's overall condition, close examination of every vehicle component, and the use of technical equipment to check for signs of racing, body damage, and other issues. Once complete, we will document any needed repairs and draft an estimate that our clients can use to discuss with the car's seller. Visit Cape Auto Repair in Laguna Niguel today for dealer-quality Porsche services at a great value. We love Porsches and will treat yours as if it were our own. We know that the key to keeping a Porsche in great shape is preventative maintenance, quality repairs, and frequent inspections. We'll also keep an eye out for issues common to its year or model. 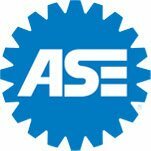 For example, if you own a 986, then we will keep an eye on its intermediate shaft bearing and help you correct the issue before it leads to costly engine repairs or rebuilds. 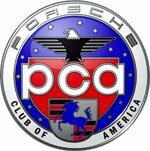 Moreover, we stay current on the latest Porsches and service/repair techniques to ensure you are always getting the best possible service. Open Mondays through Fridays, between the hours of 8am and 5pm, we also offer our clients loaner cars and local pickup and delivery service in Orange County. James and his crew have been in business for a long time for a reason. He knows what he's doing and he is one of the most trust worthy guys when it comes to . . .